Dr Trevor Layne a trailblazer who is changing the world with medical breakthrough and social change. He has dedicated his life to the war on cancer. 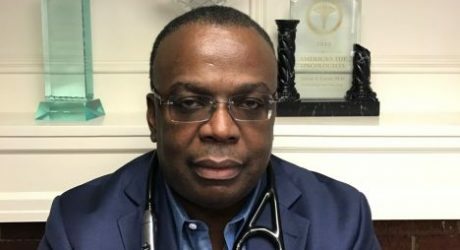 The Grenadian-born oncologist and hematologist has performed well over 20 bone marrow transplants with his team. At the forefront of medical innovation, he is a cancer specialist who treats the most complex cancers using only the most advanced technologies. Layne is one of the very best in his field in the US and Grenada. The highly acclaimed doctor decided quite early in life that he wanted to pursue the medical profession. He is one of eight children born to the late Lincoln Layne and his wife Theresa Layne. His parents exerted a positive and caring attitude towards their children; they believed in developing their full potential. Theresa Layne was a resilient and optimistic mother on a mission to see her children succeed. She faced challenges raising her eight children, but that did not stop her from making sure they achieved the best education possible. She was always there, encouraging them to live their dreams. Theresa motivated her kids to be successful, honest and true. When they lost their father, who was a farmer and the family rock, how could a grieving widow stand up to such an enormous task of raising her eight children? She did it all for them. No mother wants to fail her children, but mrs. Theresa had faith and grit, so she struggled and, over the long term, she and her children forged ahead. She imparted to her children that struggle can be good. Her steely resolve kept her children on a good path, and this is something they know intimately. They never asked for anything that costs a lot, and they thanked their mother for giving them something to eat each day no matter how small. Growing up in a house with eight brothers and sisters, Trevor Layne learned about independence and teamwork. He and his siblings learned morality, integrity and honesty from their mother. Today they have emerged with the kind of human insight that will serve them well, how to make right decisions for themselves and advocate for their needs. The result: these children raised by their single parent got the winning combination. And today she is a very proud mom who will forever love them. She is proud to see her children living not only their dreams, but hers too. Trevor loved reading and read every book he could lay his hands on; he enjoyed his childhood and was very happy. His mother encouraged him and his brothers to be the best they can and to continue their intensive efforts to become positive role models. “Having that bond, no matter how different we are and the different personalities we have, I believe it helped to keep us together,” Layne said. He had always been physically repelled by diseases and ailments of the body, so he decided that the right thing to do was to overcome his emotion and go to medical school, for the greater good. He received his secondary education from St David’s Secondary Catholic School and graduated with distinctions. He was a brilliant student and remained in the top form all through his school and college life. He studied medicine at the St George’s University (SGU) and earned his doctorate in 1989 when he graduated top of his class. He then moved to the US, where he began his career as an oncologist at the Jamaica Hospital in Queens in 1989. Layne is a perfectionist, who strives for absolute perfection in his work. He is counted among the greatest minds in Grenada, the Caribbean and the US in his field. He has received several awards and recognitions, including the title of America’s top oncologist and inducted into the Leading Physicians of the World. Layne is one of the oncologists at St Barnabas Medical Center in Livingston, NJ, and Newark Beth Israel Medical Center. 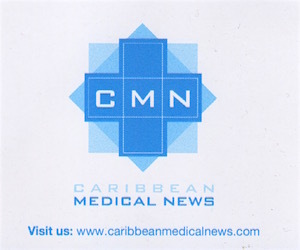 Layne completed a residency at Jamaica Hospital in Queens, internal medicine, Fellowship, Medical Oncology at St Joseph’s Hospital and Medical Center. SUNY Health Science Center at Brooklyn, Fellowship, Medical Oncology, where he obtained valuable training and hands-on experience in oncology. Certification is a voluntary process in which doctors must complete a residency in a chosen speciality, undergo evaluation by members of a certification board and pass oral and written examinations in the specialty. All doctors must be licensed by the state in which they practice, which requires completing medical school and passing an exam. Doctors can choose to specialize in a particular aspect of medical practice by completing a residency fellowship in that specialty and obtaining certification. Certification includes meeting education and residency requirements, passing an exam and undergoing a board review. While his hard work and determination had earned the respect of the lecturers and his fellow students, Layne has retained much recognition as a capable and brilliant oncologist. His reputation is further enhanced in the US and Grenada due to his humanist and pacifist activities. He holds membership and honorary membership in many scientific societies. A leading specialist in his field of oncology, Layne has distinguished himself as a creative, aggressive and collaborative colleague, who brings hope to his patients. “I frequently remind myself that medicine puts me in a position to speak for those who may not otherwise have a voice. It’s privilege that I sometimes forget that I have when focusing on the routine of the work day. Medicine gives me a sense of humility. I have learned some of life’s biggest and profound lessons through the stories, struggles, and triumphs of my many patients and this makes my career in medicine a journey worth living, while I strive for perfection,” he said. Layne is an inspirational and selfless individual who has offered his time, wisdom and support throughout his professional career. He has received recognition from critics and the public winning many awards. His recognitions are well deserved, and he is among the nation’s most excellent oncologists. He is now at the pinnacle of his career in the field of hematology. Layne said that his ultimate aim is to be a strong bridge between Grenada and the US and to establish an Institute that will provide training, patient care and state-of-the- art medical research in Grenada. Layne is a talented doctor who wants to transform an uncaring health care system in Grenada to refocus on the needs of the patients should be first. He believes in excellent patient care. He is determined to be an outspoken champion for patients by reforming the mindset of the hospitals through whatever means necessary. If one of your family members or loved one has recently received a cancer diagnosis, you’ll want to find the best oncologist, because it is of the utmost importance to find a top doctor, one who is a respected leader in his field and especially someone who will offer you the most up-to-date and innovative cancer treatments. Layne is your man. Layne provides realistic information to his patients, which is very positive in view of many cancers being curable if diagnosed in the early stages. He also provides support and empathy to his patients in coping with chronic illnesses. The doctor is changing the world and is dedicated to saving the lives of people with blood cancer, who need a stem cell transplant. Layne is bringing about huge changes for women and men in the world of medicine. He works hard and shows great determination. He’s courageous and inspiring, Layne refuses cynicism, defies apathy and celebrates the right and good that the world needs more of.